Here are some facts about the Anglo-Saxons and Christianity. The early Anglo-Saxons were pagans and believed in many different gods, as well as being superstitious. Magic rhymes, stones or potions were thought to protect people from sickness and evil spirits. Anglo-Saxon Britain became Christian around the end of the 6th century. The new beliefs originated in Ireland, and were also brought to Britain from Rome by St. Augustine of Canterbury. King Aethelberht was the first Saxon king to be baptized, in around 601 AD. The large kingdom of Mercia officially became Christian in 655 AD, following the defeat of King Penda in battle. 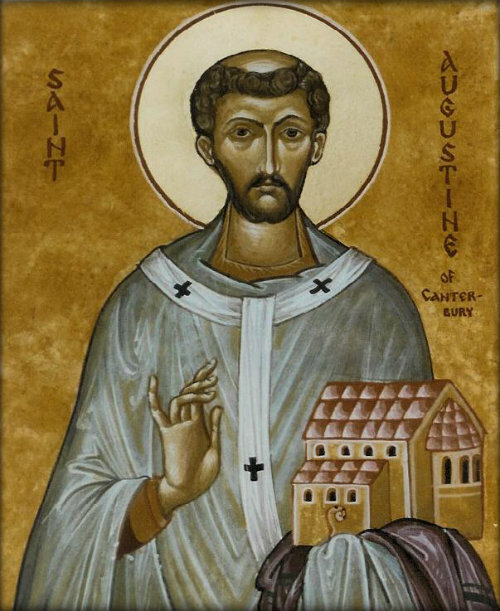 St. Augustine chose Canterbury to be the seat of the Archbishop, as London had too many pagan tribes. St. Augustine is today considered to be the founder of the English church. During the 7th and 8th centuries, Anglo-Saxon Christianity was spread largely through the monasteries. Monks travelled through the surrounding area and preached to the villages. The Venerable Bede was one of the most well-known monks and writers of the Anglo-Saxon period. Bede wrote books about Christianity and history, composed hymns and is thought to have coined the phrases BC and AD. Wilfrid was one of the most important 7th century Bishops. He helped to bring Christianity to Sussex, built many churches and several monasteries and was made a saint after his death. Churches in Anglo-Saxon Britain were used for education as well as religion. Church officials carried out other tasks too, including advising the king and overseeing Church estates. Several fairly complete Anglo-Saxon churches can still be seen today in Britain, notably the 9th century Greensted Church in Essex. Many churches were made from brick or stone, whereas wood was the main building material for Anglo-Saxon houses. Anglo-Saxon Christianity was revived in Britain during the 10th century, following Viking invasions. The Vikings became Christians, and many new churches were built. What next? Discover more facts about the Anglo-Saxons by visiting our resources page.